We talk about some of the games we love to hate. Epic by Geekloo.com is licensed under a Creative Commons Attribution-NonCommercial-NoDerivs 3.0 Unported License. 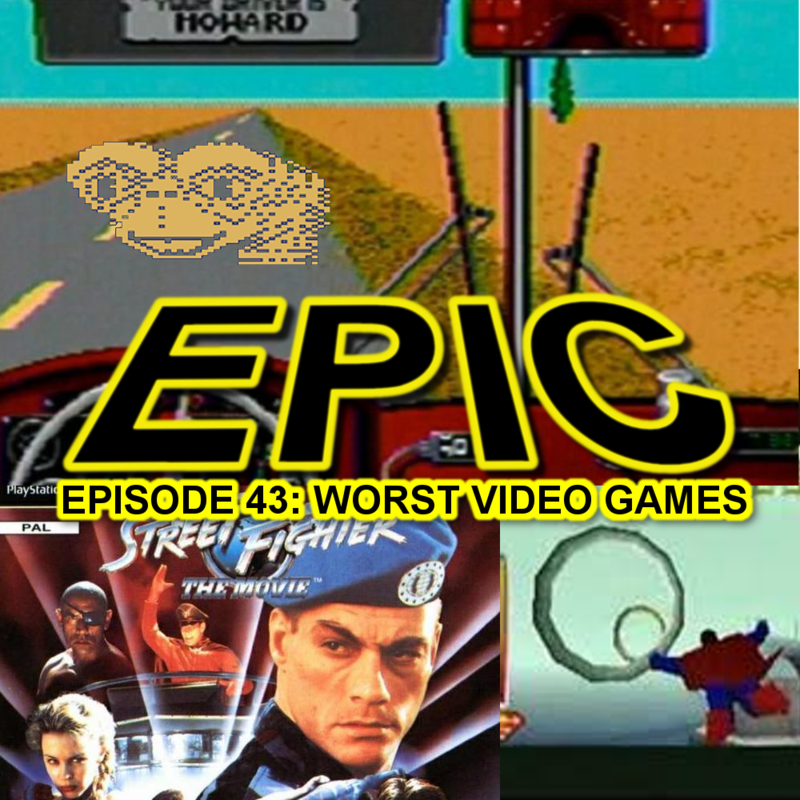 Marc, Joel, and Rich explore some of the worst villains of all time. We actually recorded this episode rather spontaneously after the last one. The intro sketch was slated to be used in a future episode, but I found that it worked better here. – Elliot More played by Mark Wahlberg in The Happening. Some of the Worst Villains Ever. A s well as some other ramblings. I didn’t put numbers on this cause, let’s face it.. They are all pretty bad. Oh god.. It’s just.. so…. bad…. Let’s be clear: We’re not hating on Venom.. Just this particular portrayal of Venom. Also, if your interested in the writer/directors, check out this IMDB link. We mentioned Doug Walker’s review of this. Some of his best work, you can find it here. While you’re there, check out some of his other stuff. Fun fact: The entire movie was shot with the camera tilted. What a great directing decision that was. This clip isn’t really about him, But it’s an interesting ‘Behind the scenes’ of the making of this “Movie”. The writer of Bloodrayne talks about Uwe Boll and Bloodrayne.